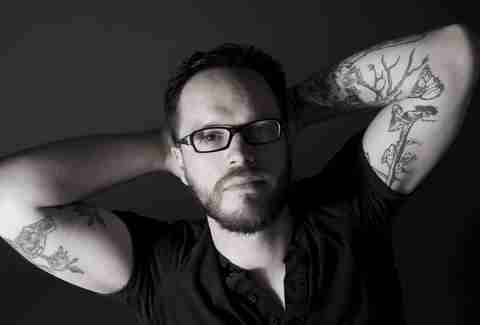 It’s not often that an accomplished New York bartender has the opportunity for a real night out on the town; on the weeknights, weekends, or holidays when the rest of us are out drinking, bartenders are hard at work. But on those rare occasions when they do have a night to themselves, New York’s best bartenders know exactly where to go. Sometimes they’ll visit industry friends, sometimes they’ll go on a date -- other times, they’ll just hang out at their own establishments, on the other side of the bar. And while some go out in search of a great cocktail, just as many crave a simple beer and a burger (and usually, a shot or two.) 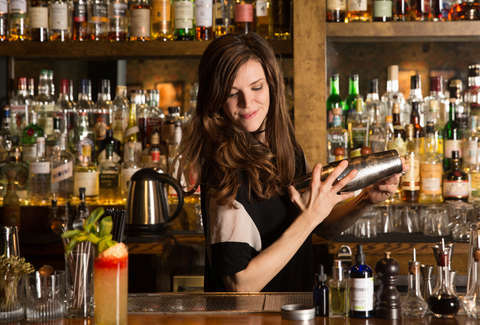 We chatted with 11 of NYC’s best bartenders about their favorite night-off haunts. 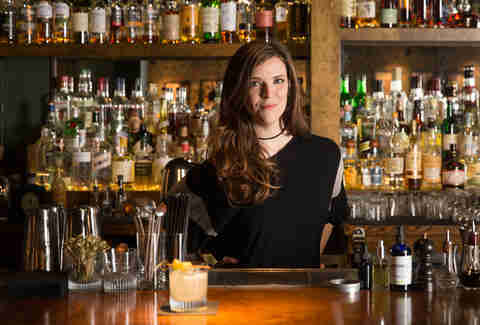 While Stacey Swenson is a spirits enthusiast through and through, her tolerance doesn’t always keep up, so she tends toward lower-proof cocktails, like the aperitivo-style drinks she often serves at Dante. When out from behind the bar? Saxon & Parole for a Japanese highball and mushroom pâté, or Sauvage, from the Maison Premiere team, for crab legs and rosé. For something dive-ier, it’s Williamsburg’s Midway Bar, where there’s always cold Miller High Life and great music. And like many bartenders in New York, nights for Swenson often end at the recently revived East Village dive Holiday Cocktail Lounge, now with serious cocktails alongside the shot-and-beer specials. 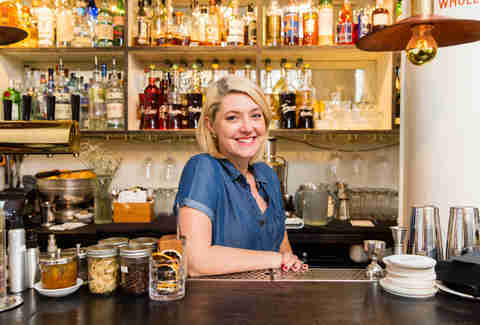 “If you’re a bartender and want to go where everybody knows your name and all the lyrics to Toto’s ‘Africa,’ and be greeted with sloppy hugs and big smiles, this is the place for you,” she says. For date night, it’s wine and cheese at The Richardson, or movies at Nitehawk. “Anywhere you can get queso, a margarita, and watch a movie all at once without having to sneak a flask is killer in my book,” Guffey says. The bars that Robeling Tea Room’s bar manager Danny Neff feels drawn to the most are those that make him feel “cozy and loved” -- specifically, Extra Fancy and Basik, both in Williamsburg, and both industry hangouts. Since Neff and his Roebling co-worker Andrew Lindh both used to work at Extra Fancy (or just “Fancy,” for short), they’ll often stop by after a shift to grab a pint and unwind. His best rec: the lobster bisque fries and a lobster roll. In their off-hours, most bartenders crave a low-key joint where you can just as easily get a shot and a beer as a classic cocktail. For Neff, that bar is Basik: “If you're not going to Basik on a Sunday, you're not doing Brooklyn right,” he says. Though the bartenders are all pros who can make you an impeccable Negroni or Sidecar, there’s nothing stuffy or pretentious about the place. If you stop by, give Russell Dillon behind the bar (“the kindest man in the world”) a hug for Neff. Neff’s ideal night finds him with a Budweiser, a shot of rye, and a cast of industry friends, including Tonia Guffey (above) and her fiancé Jackson Stamper. 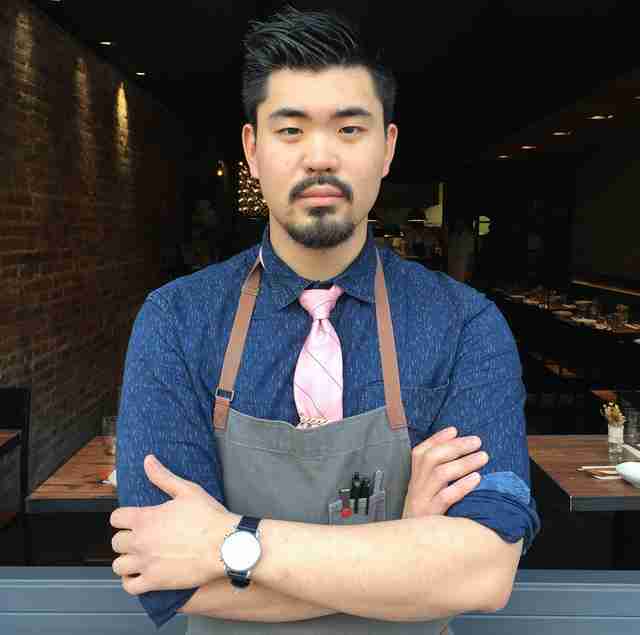 When Oiji’s Ryan Te isn’t devising soju cocktails, rock climbing, or reading in the hammock listening to Lenny Kravitz, he hops around to his favorite restaurants -- grabbing a burger at Black Iron Burger, seafood at Cull & Pistol, or ramen at Hide-Chan. As for bars, Goodnight Sonny in the East Village is his after-work go-to, where he’ll roll up after a shift for oysters, brandade, whiskey, and maybe a shot of Fernet. 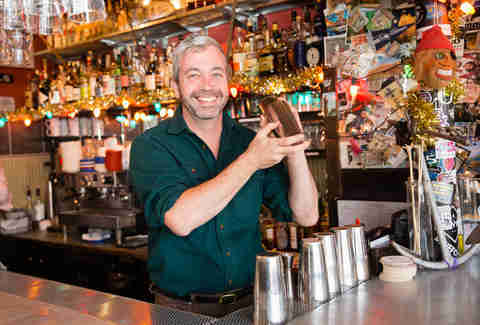 If he’s over in Williamsburg, Te’s favorite spot is Noorman's Kil, a low-key bar with a formidable whiskey selection. His standard order there is a dram of Springbank 15 and a “Sylvia” grilled cheese with herbs de Provence, tomato, and melty Empire Jack. 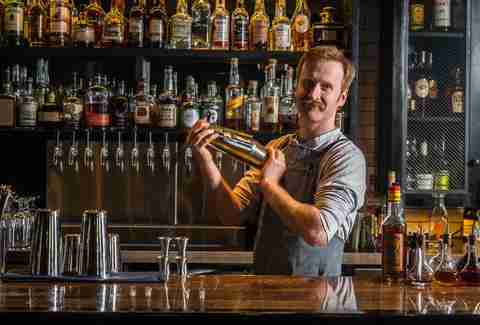 Lots of New York bartenders visit whiskey-and-historical-punch paradise The Dead Rabbit for the drinks, but Kings County Imperial’s Richard Murphy will take any excuse to go there -- be it lunch, dinner, or $1 oysters. 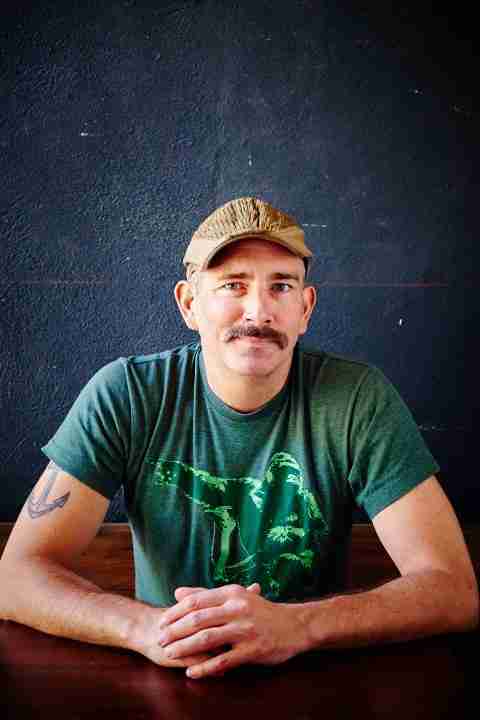 In his own neighborhood, Gowanus, the Massachusetts native loves Littleneck, which he vouches for as a legit New England seafood shack, with $1 oysters during happy hour (sensing a pattern?). For a welcoming, comfortable spot, it’s Mr. Fong’s in Chinatown, where the owner crafts “delicious, unfussy cocktails” and the DJs always play good music. With such a social job, The Up & Up’s Katie Byrum tends to gravitate toward lower-key venues. “It’s important to find that kind of balance when you essentially host a giant party for a living.” After a shift, that means Zinc Bar across the street, for a cold beer and live music. Worthy enough to merit a hangover is Suffolk Arms, “an unapologetically New York neighborhood bar” on the Lower East Side, or the Featherweight in Williamsburg, which Bennett considers one of the most unsung cocktail bars out there (the space, he says, feels pleasantly secluded). Since his fiancée is a 9-to-5er, they’ll often meet up near her office in the Financial District at The Dead Rabbit; Bennett tends to kill time with a Guinness in the taproom before their date nights in the parlor. When he’s not researching Asian flavors and playing with cocktail ideas in Junoon’s spice room, Hemant Pathak is probably eating macaroni and cheese and drinking Kentucky bourbon at the Flatiron Room, or hanging out at BlackTail, the new bar from the Dead Rabbit team, sipping a vodka-and-celery highball. Like with most New York bartenders, Employees Only is also a regular stop, with a reliable industry crowd -- all of whom seem to know someone behind the bar. 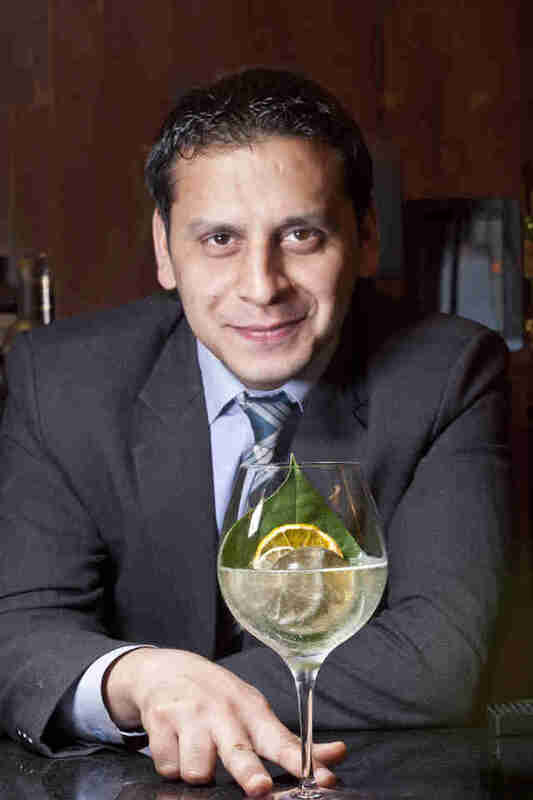 For Pathak, it’s his bartender friend, Ulysses Vidal, who will make him Palomas until late-night. 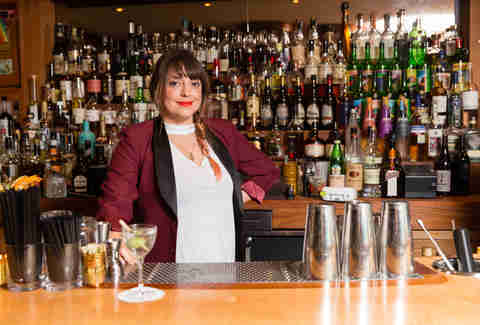 Bartender Erika Ordonez is so devoted to Lower East Side oyster-and-cocktail bar Black Crescent that when it burned down after a year in business, she organized the first fundraiser to help get the place back on its feet. Now that it’s back, she’ll stop by for the Hempen Halter, a Negroni with hickory-smoked Carpano Antica vermouth, and comfort food that can sustain a drinking crowd for the long haul. Chilo’s in Bed-Stuy is another one of her favorites, mainly for its agave spirits and tacos (and homemade hot sauces) from the truck out back. In Bushwick, the cozy Pearl’s Social & Billy Club is Ordonez’s everyday-drinking bar, with friendly bartenders and a great liquor selection; and if she’s looking for good people-watching and crazy spectacles, it’s performance venue-theater-bar House of Yes.